Its the first week of spring and winter just does not want to let go yet. We have had snow this past week and a possibility of more this weekend. Can I just say I am over it already! Who's with me on that? This weeks meal plan has a little bit of everything in it. Some easy casseroles, pizzas, seafood, and some tacos. New to What's for Supper Sunday? To follow along, just click the recipe title and it will take you to the full recipe. Want more meal plan options? 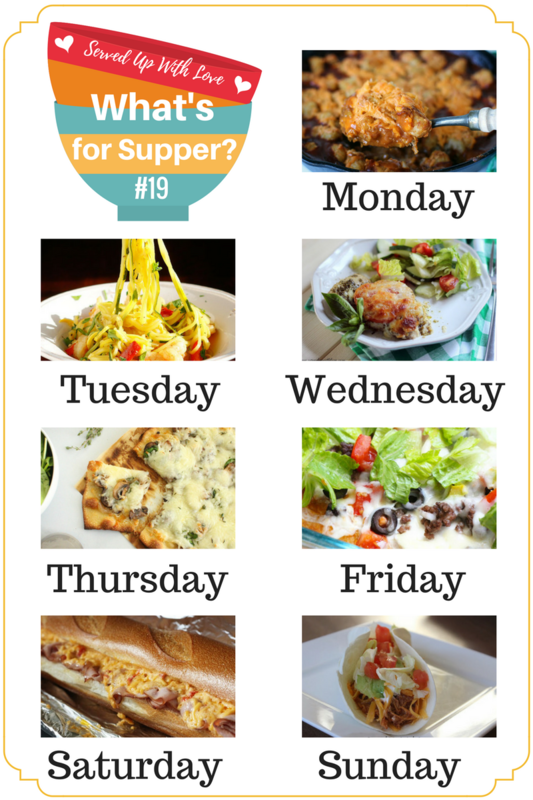 Be sure to check out last week's What's for Supper Sunday!